Clara R. Forman is a Southern California native and attended the University of California, Riverside. Ms. Forman received her Bachelor of Arts in Psychology and Sociology in 2002. She studied law at Western State University, College of Law, and received her Juris Doctor in 2010. Ms. Forman was admitted to the State Bar of California in 2012. Subsequent to obtaining her Bachelor of Arts degree in Psychology and Sociology, Ms. Forman pursued an interest in forensics, studied math and science, and also did graduate-level work in English composition. Throughout her undergraduate and legal education, Ms. Forman worked full time for the San Bernardino County Probation Department, first as a Probation Corrections Officer and later as Probation Officer II. She volunteered with the Inland Empire Latino Lawyers Association while working as a probation officer. 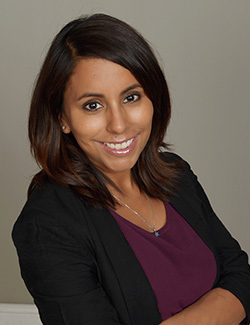 Clara joined the Ontario/Inland Empire office of Dietz, Gilmor & Chazen in 2015 to concentrate exclusively in the field of workers’ compensation. Ms. Forman spends her free time enjoying her family.